About as rich as Donald Trump, but twice as tasty. 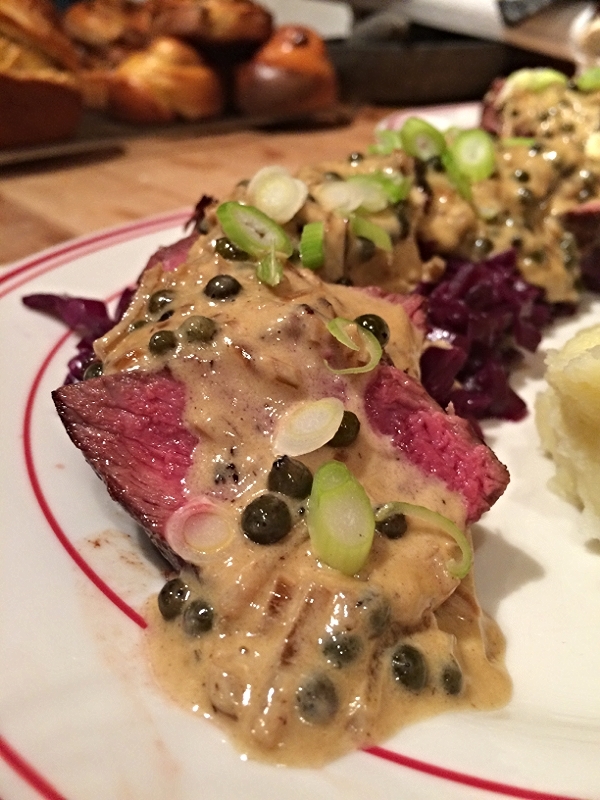 Green peppercorn sauce is not only a great sauce to finish a meal, but for me, it brings up memories of my first experience in a restaurant that didn't serve combos. In this instance, it was lathered over a chicken breast. I still remember being amazed by that sauce. It was creamy, yet popping with spicy and peppery, green peppercorns. This was easily one of my first food memories that links a taste, and a meal, in a moment in time. This memory particularly was a family dinner, it was well worth the crash course in learning to use cutlery like a civilised man. To this day the sauce is able to bring that moment back to mind, it also helps that it's my wife's favourite :) . If you want to replicate or make some memories of your own check out the recipe for this sauce. This sauce goes beautifully with a medium/rare steak. Finish off the meal with braised red cabbage and creamy mash. A winter warmer not to be missed.